When a new baby arrives, everything gets crazy for a while. This is to be expected, and many moms want to get into a schedule. Believe it or not, it is possible to find a schedule that works for both mom and baby! During the first couple of months, it's wise to focus on the goal of making sure that the baby is well rested. Parents should keep an eye on the clock--if the baby is still awake after 45-60 minutes, they'll want to guide her into dreamland in any way necessary. An overtired baby experiences a surge of adrenaline, making way for unsoothable fits and an even more difficult time getting to sleep and staying asleep. By about twelve weeks, the baby will handle about an hour an a half of wake time and will probably feed every three hours. 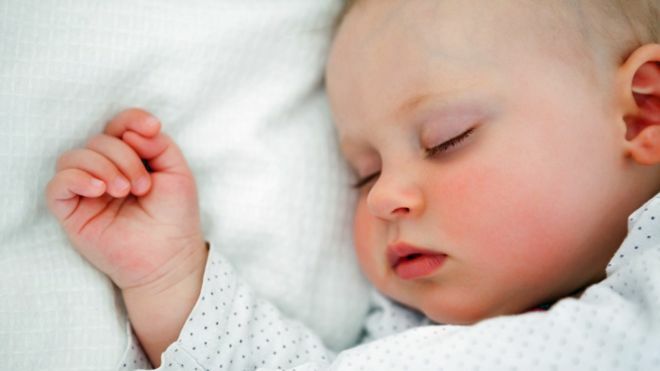 All babies will vary somewhat, so parents who have kept a keen eye on their newborn baby's sleep and feeding habits can use this knowledge to form a good schedule. Wise parents will allow for flexibility in their baby's schedule, and they will remember the importance of getting the amount of awake time just right. Getting baby perfectly tired enough to fall asleep quickly, but not fatigued, is the key to using the tear-free methods described next. Set the Scene: Here's where mom signals that it's nap time. A quick and simple routine works best. Swaddle: Hogg recommends swaddling as long as possible. Officially, the AAP recommends transitioning at 2 months, or when baby can flip over. A baby who can roll should never be swaddled. Sit: Here's where mom sits and holds her little one close (sitting still, as opposed to rocking). This can last for up to five minutes, but Hogg emphasizes putting the baby down before she's drifted off. Shush-Pat: This step is only necessary if the baby cries. Mom gently pats the baby while shushing, comforting her without picking her up. If the crying intensifies, Hogg recommends picking her up and continuing shush-pat together with sitting still and then again putting her down drowsy but awake. With consistent application of the 4 S's and careful observation of baby's natural sleep rhythms, a schedule will fall into place.